our people, our places, our memories…. and gift ideas from across the design blog world! 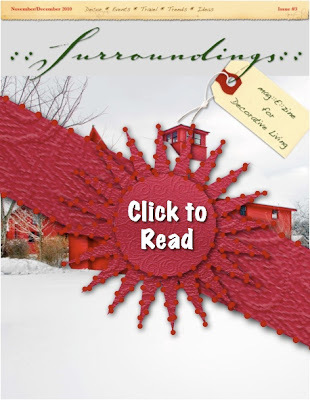 Lovely post, I was just reading the creative ideas & winter holiday inspirations that Linda Merrill in the “Surroundings” put together in her E-Magazine Holiday issue, and was going to leave you a message for your beautiful contribution. Linda mentioned that she invited some of her design and blog friends to share their personal tips and ideas. 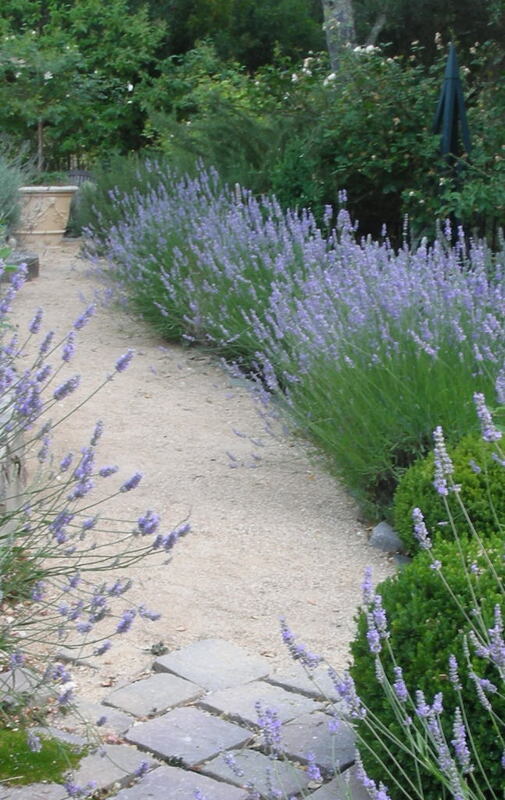 Your blog is beautiful and love the lavender stroll, & the creative tips. 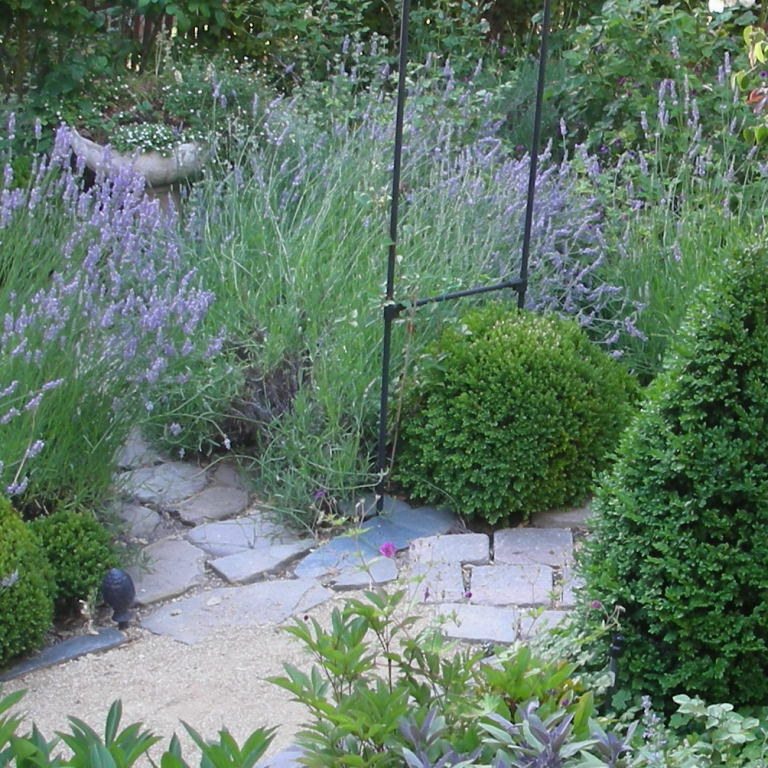 Next year your new lavender you planted should start to fill in the hillside and you will have even more to admire, it will be a Provence via Trish’s garden paradise along with all the other lovely plants and flowers. you planted and tend. Have a Happy Thanksgiving and more….it is cold up in the Pacific North West, and my late blooming Roses got caught in the cold. Trish – thank you so much for the shoutout AND for your contribution to my Holiday Entertaining and Gift Giving guide. I can smell the lavender from here! Happy Thanksgiving!! Mmmm… love the lavender scent. 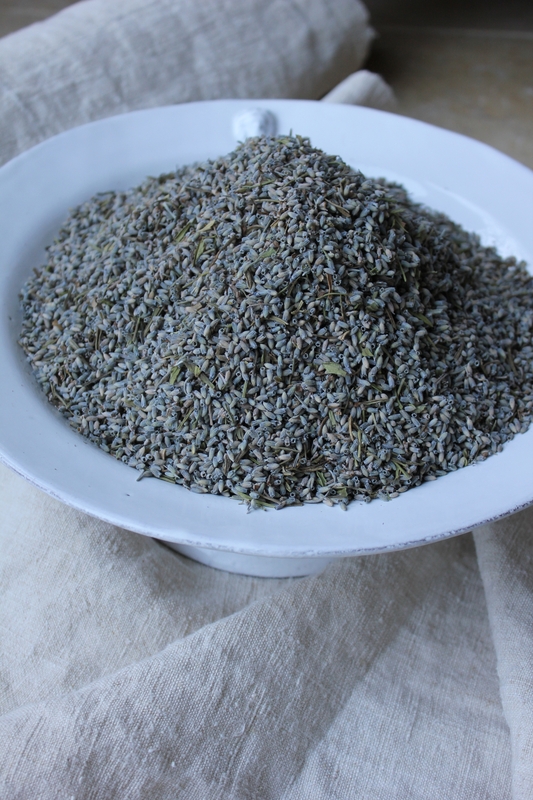 It makes it even more meaningful to have the lavender come from your own garden! Linda sure did a great job with her Holiday issue! I think the lavender sachets make a wonderful gift…especially when made with such beautiful fabrics. Your beautiful fabric combined with the lovely lavender seems like pure perfection. What a lovely gift to give. Thank you for sharing the information about Linda’s site. I will pay her a visit. Ahhhhhh, I can almost smell the lavender from the wonderful images of your stunning gardens…and I am so thankful to have in my possession one of your beautiful handmade sachets…such a cherished little treasure all tucked with pieces from your fabulous collection of textiles. I finished stripping the dried buds from my harvest last week and my new method of tying the bundles in small bunches in the field really made the stripping process so much more manageable. I started off by making little quieting pillows to ward off headaches and found that my abundant supply of buds dwindles rather quickly with this larger format…will use what’s left in smaller sachets and of course save some for cooking and lemonade. Wish I had some of your lovely antique/vintage textiles to use. Here in the midwest we play see-saw with Mother Nature and Father Time. Lavender long gone and yet sweetly remains. There is something inherently special about a plant that smells good in every form. Here as I rake and grind up magnolia leaves, the sweet lemon-orange mystery remains planting winter dreams for spring to come. Thank you for such a nice post. It made me think of the baskets of fabric samples I have lying in wait. Trish, I was wondering if I might impose upon you to visit my blog if you have a minute(ONLY if you have a spare minute)because I have a mystery rose that I can not seem to identify. I have taken the flowers and foliage to two nurserys and also to UCLA and the only thing they seem to tell me is that it is an “old rose”, which I already knew. My neighbors have told me it was planted at this house sometime between 1946-1950. I thought maybe with all your gardening you may have come across it before and might be able to give me a hint. all of your knowledge about roses and gardening, I knew you would be the perfect person to ask. I just love your blog, the pictures, what you choose to share… I am in heaven when I visit your home. It is so inspiring, joyful and peaceful. Thank you! Happy Thanksgiving! 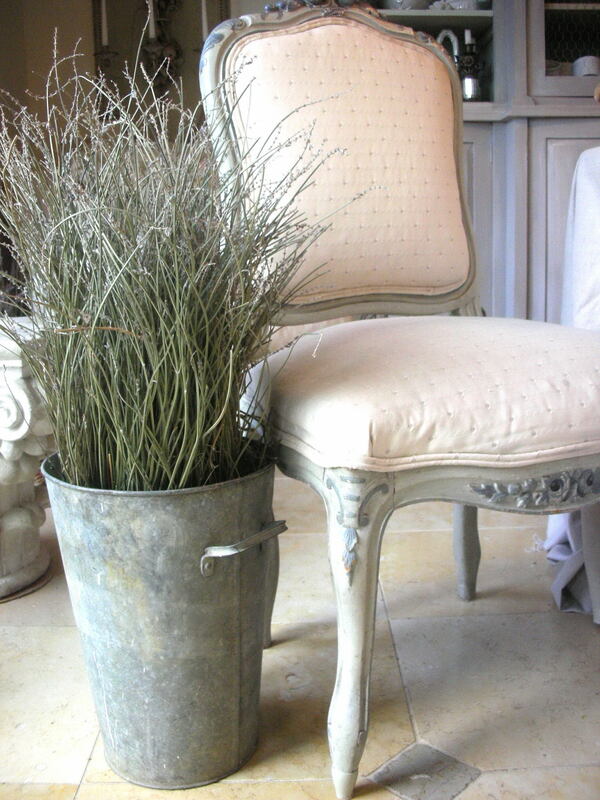 Love lavender, wonderful post, the pictures are fantastic. I always sleep with an embroidered lavender sachet under my pillow. These images are simply beautiful and reminder of summers to come.